My Christmas Gift post from last year was so popular, that I figure I better share the awesomeness that I received this year as well. My main big-ticket item was a sewing machine! 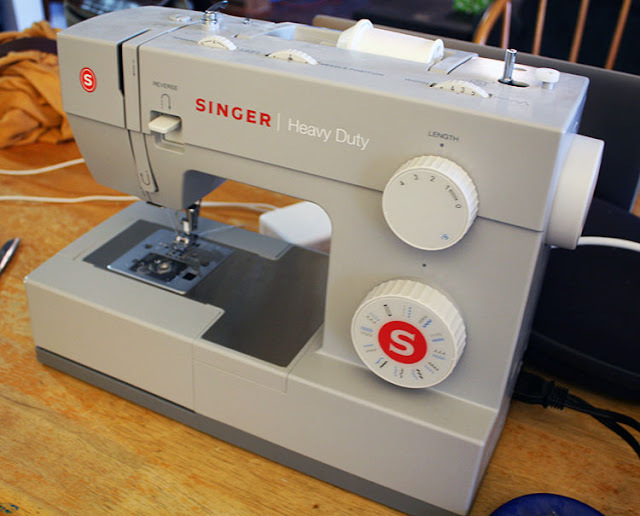 This Singer Heavy Duty Sewing Machine that will replace my old machine that had some bobbin issues neither Pat nor I could figure out how to fix. It was an issue that rendered the machine useless unfortunately and made it hard for me to learn to sew better. I'm looking forward to creating lots with it and have already started. I'll be sharing something soon I hope! Pat also gifted me these bracelet bending pliers. They make it easier to bend metal pieces into a curve to fit wrists better. Clever, right? 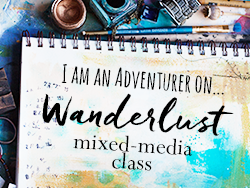 In addition, the big surprise was this Wanderlust 2017 membership from Everything Art. It's a year-long mixed media art class membership. I'm smitten with it so far, and there's only been one class! Hopefully, I'll share some of my creations before too long. We'll see. I love this gift as it's one that will keep giving all year long! Finally, my mom got me a bit teary-eyed with her gift. 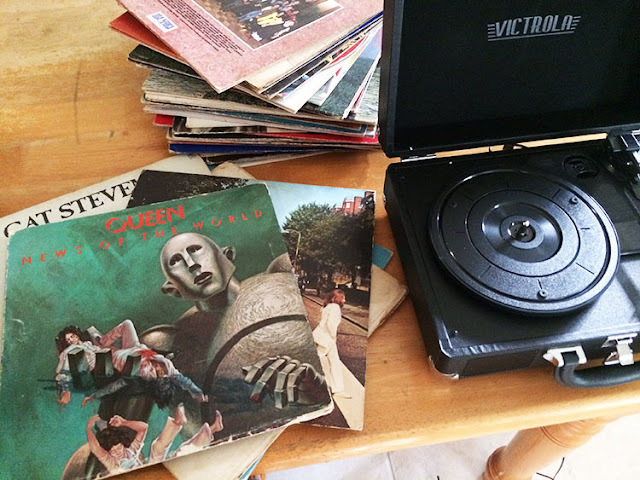 Check out the Victrola Turntable and albums. The sentimental part of it was the records. She gave me a selection of nine of my most favorite albums from the collection I grew up listening to. As an added bonus, I had free access to the rest of her collection to pull out some other best-loved ones. I was listening to them before we ever left her house! So that was my Christmas. How about you? Get anything good? What a fun Christmas!! Lots of toys to play with! HH gave me a new lap top which is awesome but lots of changes :) Have fun! Wow, you had a fun Christmas Hope! Lots of toys, have fun playing! I second Jenna's comment! Have fun! Your gifts rock! 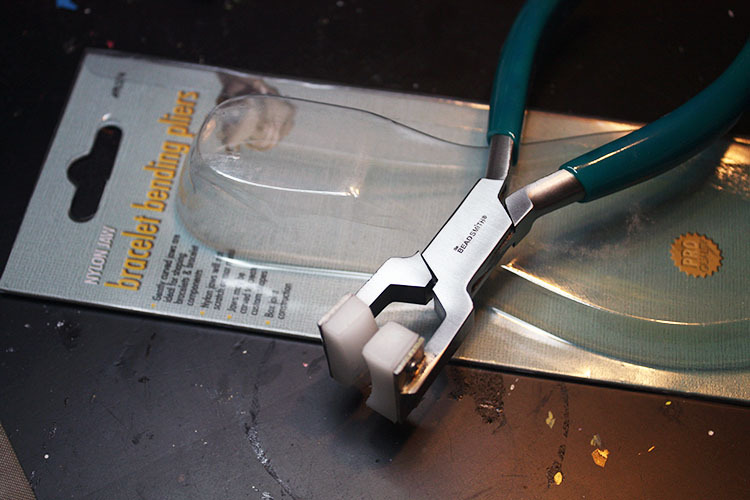 The bracelet bending pliers look like a great tool, I didn't know there were any! I'm sure you felt like a kid on Christmas morning :) I didn't get anything hobby-related but that's OK - I buy more tools and materials throughout the year than stuff for myself!